We are delighted to announce the 10 finalists for the 8th Export Action Plan competition final taking place on June 7th in London. 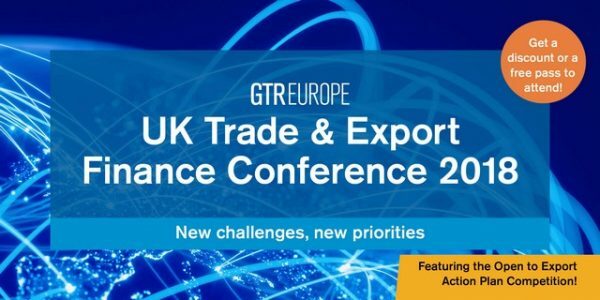 The final will be hosted as part of the UK Trade and Export Finance Conference, sponsored by NatWest. The winner will be given £3000 towards their export plans, as well as further prizes from the Institute of Ecommerce and the Institute of Export & International Trade. All of the finalists will be awarded with small business membership at the IOE&IT and a 1-year online subscription and free event pass with Global Trade Review. You can sign up to attend the conference here. NatWest provides everyday banking services for over 14 million customers in England and Wales. At NatWest we proactively strive to pioneer and innovate in order to give our customers the excellent service they expect from us. Today we support all types of customers – ranging from personal accounts through to the largest commercial and corporate businesses. Whether it’s by helping new ventures to address new business opportunities through our partnership with Entrepreneurial Spark, or providing award-winning invoice and asset finance or more traditional funding for more established businesses, we’re dedicated to supporting the ambitions of UK enterprises both large and small, wherever in the world they choose to do business.